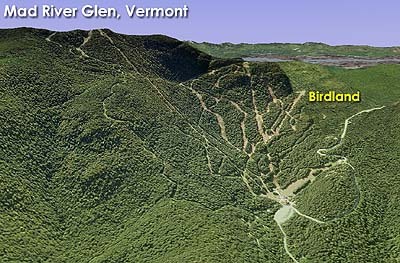 In trying to expand beginner and intermediate offerings, Mad River Glen opened the Birdland area in 1966. 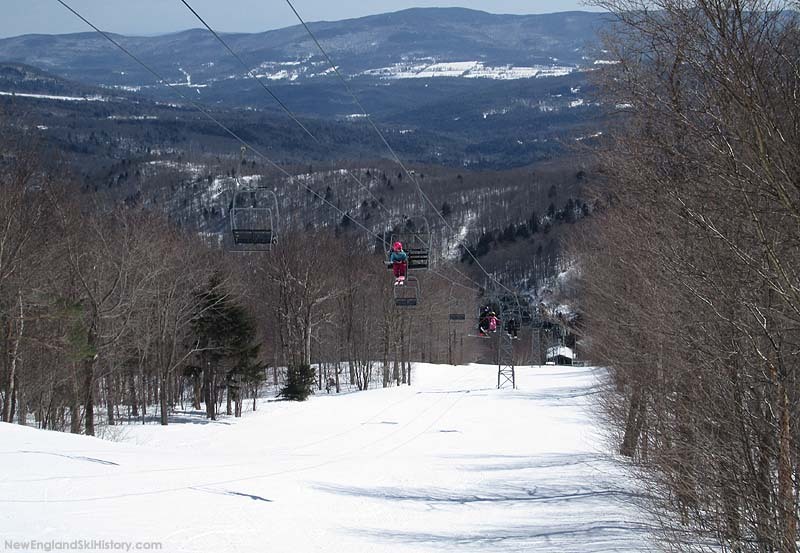 Touting 4 new intermediate trails and 4 acres of slopes, the new complex was served by a new 500 vertical foot Mueller double chairlift. 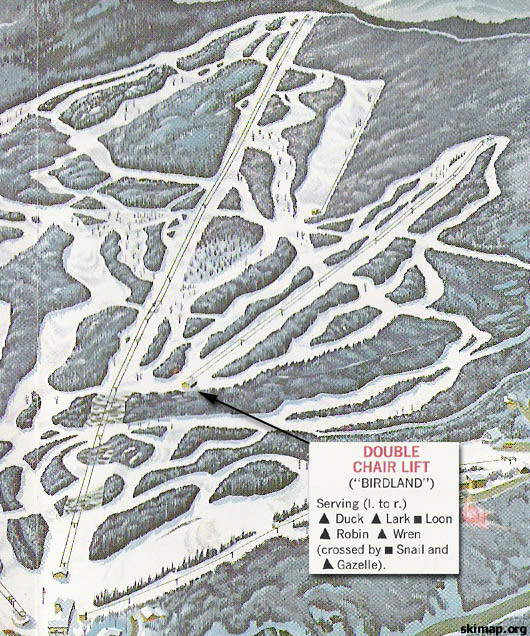 Due to its location above the base area, a ride up the Sunnyside chairlift, at least to a midstation, was required to access the complex. 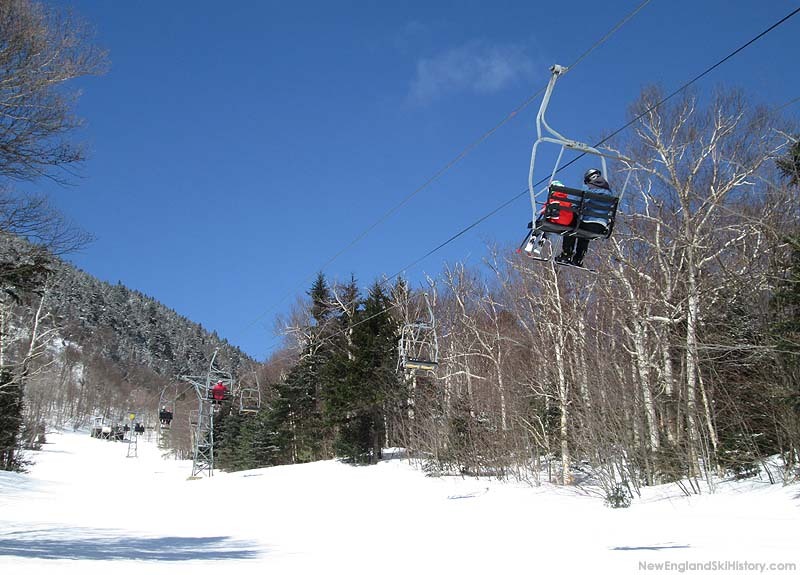 While the new trails opened for the 1966-67 season, the new Birdland chairlift didn't open until 1967-68. 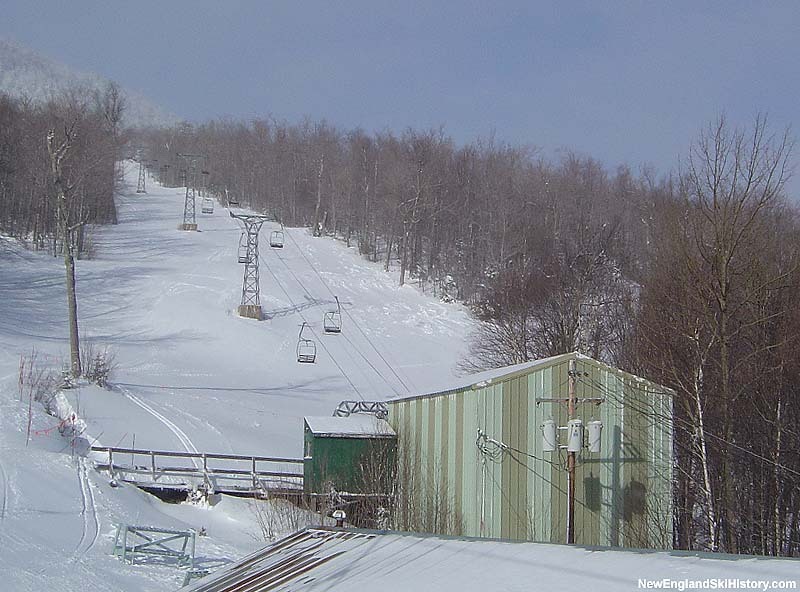 In 1968-69, the Birdcage snack bar opened at the bottom of the Birdland chairlift.